Specializing in unique and custom designs. Our goal is to exceed our customers expectations with quality, care, and professional service. Serving all hospitals and funeral homes in the Houston area. Specializing in corporate, weddings, and events. Full Service Florist. Satisfaction Guaranteed. Family owned and operated for over 16 years. Specializing in high style custom arrangements. If you can imagine it, we can create, design, and deliver with a smile. Serving all hospitals and funeral homes. Open & delivering 7 days a week. Family owned & operated. Satisfaction guaranteed. Texas master florist on staff. 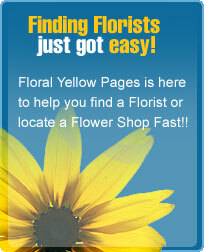 Wide selection of fresh flowers & plants. Serving all hospitals & funeral homes. Full Service Florist. Satisfaction Guaranteed. Family owned and operated for over 25 years. Specializing in unique and high style and custom arrangements. Something for everyone's taste and budget. Serving all hospitals and funeral homes. Full Service Florist. Satisfaction Guaranteed. Family owned and operated for over 10 years with more than 30 years of designer experience. Specializing in unique and high style custom arrangements. Something for everyones taste and budget. Serving all hospitals and funeral homes. Full Service Florist. Satisfaction Guaranteed. Family owned and operated for over 30 years. Customer service and satisfaction is our number one priority. Specializing in high style and unusual custom arrangements. Serving all hospitals and funeral homes. Full Service Florist. Satisfaction Guaranteed. Family owned and operate since 1999. Specializing in unique and custom designs. Flowers for all occasions and budgets. Our goal is to exceed our customers expectations with quality, care, and professional service. Serving all hospitals and funeral homes. Full Service Florist. Satisfaction Guaranteed. Family owned and operated for over 45 years. Specializing in unique and custom arrangements. Something for everyone's taste and budget. Serving all hospitals and funeral homes. Flowers for all occasions to your discriminate taste. After store hours call 281-689-6911.